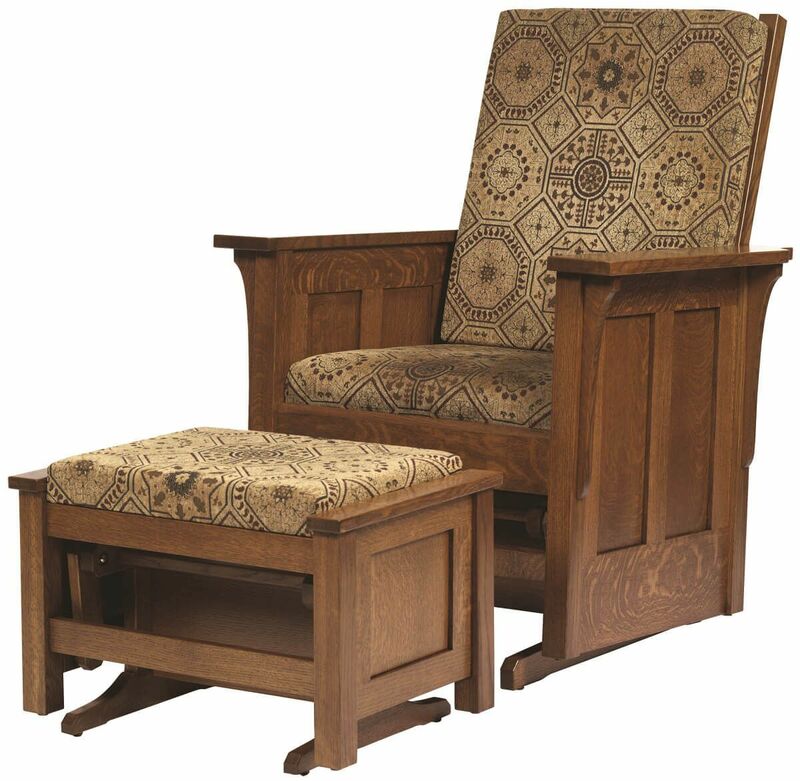 Solid hardwood construction and premium upholstery on our Colonial Cottage Glider will bring security and comfort to your favorite room of the home. 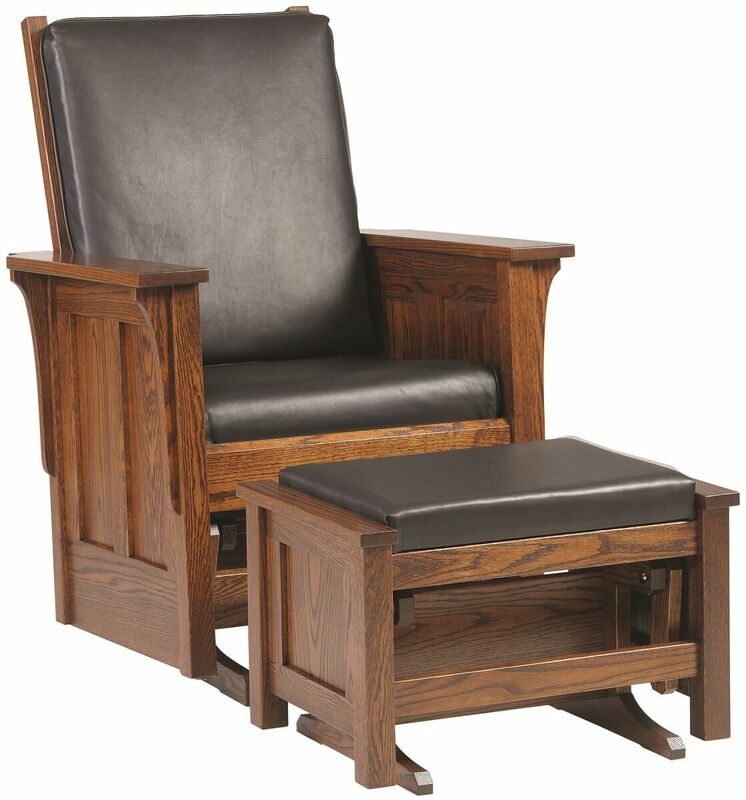 With pillars of hardwood and arm rests broad enough to rest yourself comfortably, this upholstered glider chair will be a welcoming sight after a long day of work or volunteering. 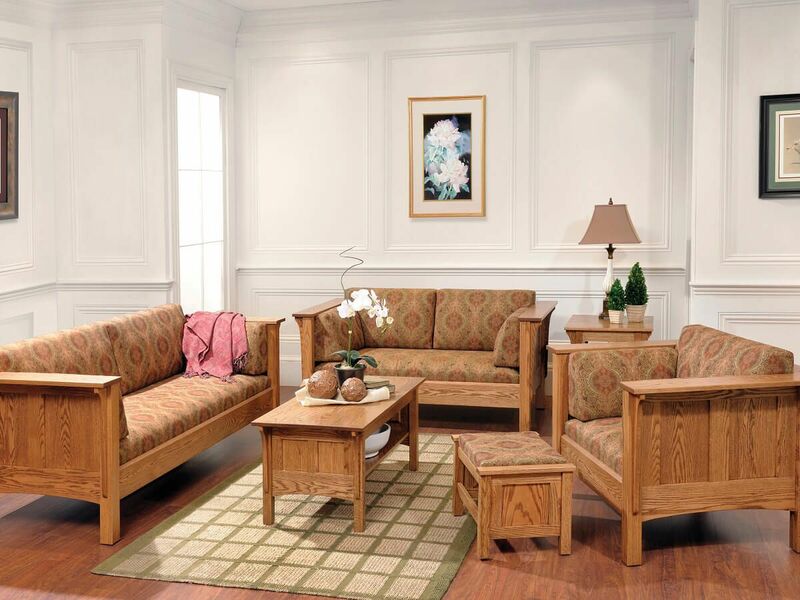 Our Colonial Cottage Glider is the highest quality of living room furniture with recessed panel sides of solid wood and thick foam cushions on the seat, back and optional ottoman. At Countryside you select the premium fabrics or leather to cover your cushioned glider. 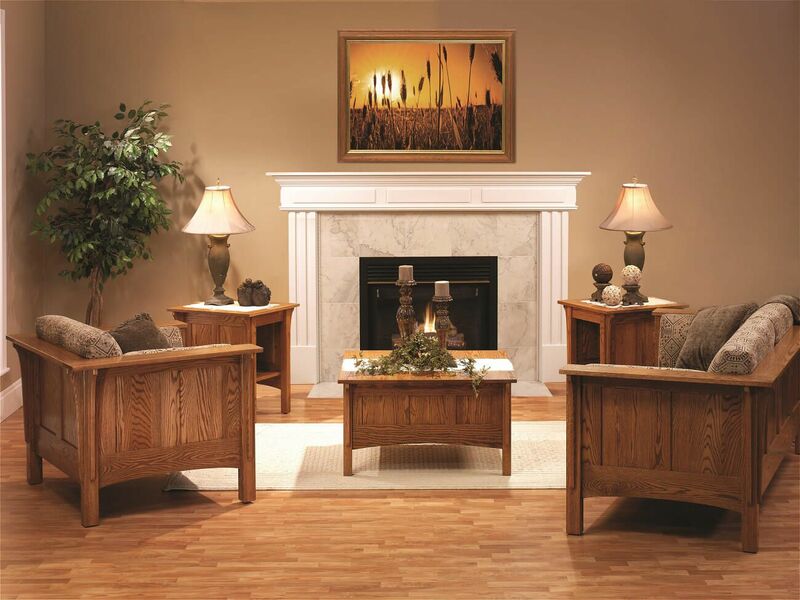 Also, select your preferred wood and stain or order the look as pictured in Quartersawn White Oak or standard Oak with a Devonshire wood finish.